With more cities being blanketed in the warm glow of WiMax every month, 3G speeds are going to start seeming primitive, fast. Clear's iSpot hotspot lets iPhones, iPads, and iPod Touches get a taste of the delicious 4G future. 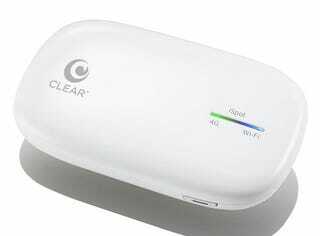 Clear's iSpot can serve as a hotspot for up to eight Wi-Fi enabled devices at a time—its site says it was optimized for Apple's mobile devices, whatever that means—while running on its rechargeable battery or juicing up over USB. Of course, you could always connect your iDevice to whatever other Clear hotspot might happen to be around, but it probably won't be white or shiny or optimized. Update: Today and today only, you can net the iSpot itself for $29—70% off. Update 2: Ars discovers why this is so cheap, when the standard CLEAR plan is $40. It's dedicated to just Apple devices—in that, it detects what devices are connected and can only let them connect if it's an Apple device. If you want to unlock it to all devices, they'll bump you up to the $40 a month plan.